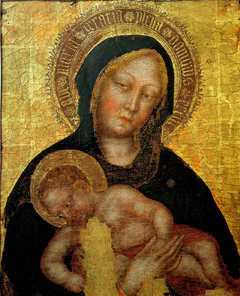 13 K Artworks have been viewed 13,167 times. 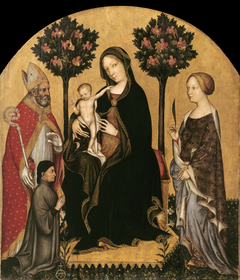 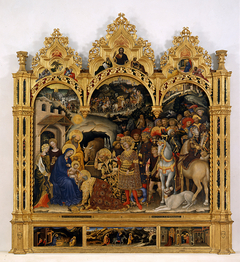 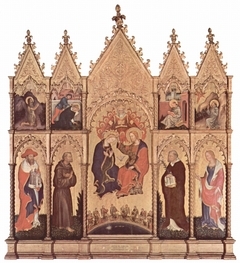 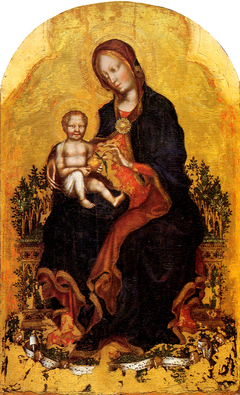 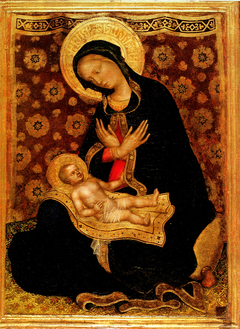 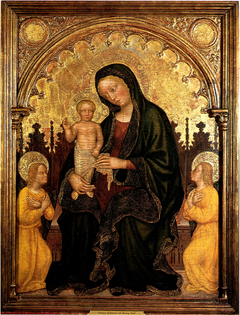 Not only was Gentile da Fabriano (b. about 1370, Fabriano - d. 1427, Rome) Italy's outstanding representative of the International Gothic style, he also contributed to the advanced art that foreshadowed the birth of the Renaissance. 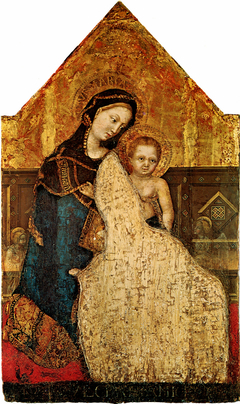 Unfortunately, most of Gentile's influential fresco paintings have been destroyed. 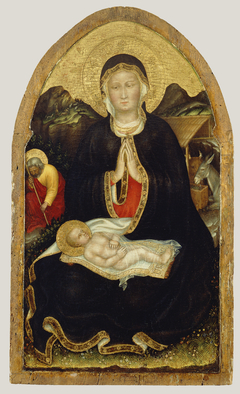 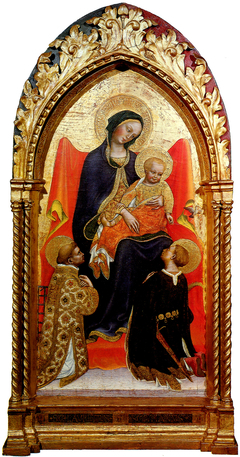 Gentile worked in Venice, Florence, Siena, Orvieto, and Rome. 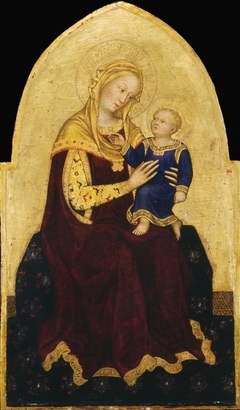 He is first recorded in 1408 in Venice, whose artists were famous for their rich coloring; this may explain Gentile's penchant for deep, vibrant colors. 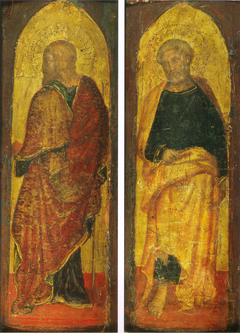 Gentile's paintings also feature richly patterned surfaces and people with soft, full faces, heavy-lidded eyes, and dreamy expressions. 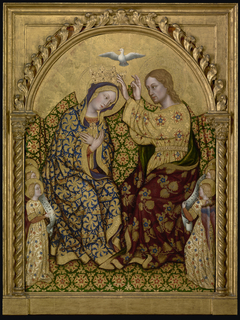 His lyrical atmosphere, elegant refinement, and attention to detail in rendering landscapes, animals, and costume typify the International Gothic style, originally developed in French and Burgundian courts and used especially in illuminated manuscripts. 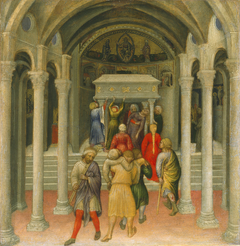 Gentile's most famous surviving works were made during a short but influential stay in Florence in the 1420s, where he probably encountered the austere realism of his younger contemporary Masaccio. 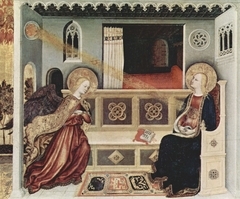 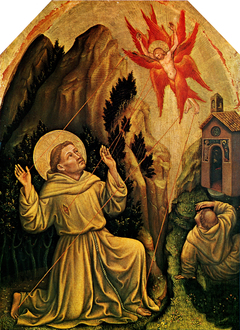 Gentile made other contributions to Renaissance art: abandoning abstract backgrounds for real skies, introducing a light source into the picture, depicting cast shadows, and making the earliest known drawings after the antique.